When I first found this image of the view from the beach at the Palm Bay Beach Club on Great Exuma Island in the Bahamas, I knew it would be a popular choice. 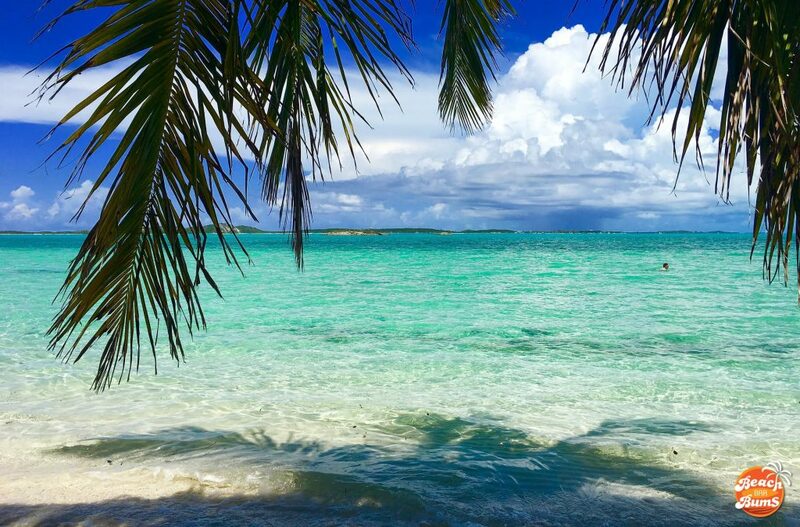 With it’s under-the-palm-fronds POV of the amazingly crystal clear water in the Bahamas, it put forth a tantalizing glimpse into what this paradise offers visitors to its shores. Add to that the fact that it has its own beach bar and Peace & Plenty Beach Bar and Chat ‘N’ Chill Beach Bar are just a short boat ride away and I’m thinking a quick getaway to the Bahamas is looking pretty good right now. To download the high resolution version of the image above, head on over to the Wallpapers page and be sure to check out the Facebook page for our “Beach pics of the day” posts. Vote for your favorite by “liking” the photo and each week, we’ll post the winning image and a high resolution image of it for your viewing and downloading pleasure … but it will only be available for one week. Image is part of the public domain and is free for use with no attribution required. Have you stayed at Palm Bay Beach Club? If so, let me know what you thought of it! “The Palm Bay Beach Club property offers a sandy beach, two swimming pools and Splash Beach Bar and Grill. The development has over 70 well appointed beachside cottages, hillside villas and private residences. There is a choice of studio, one bedroom, and two bedroom villas all with either a full or partial kitchen. Villas are individually owned and privately operated. We have been staying at Palm Bay for 10+ years. Do we like it? Seriously? They have many different accommodation options starting with a basic hotel type room to 3 bedroom villas. We prefer the townhouse set up that are 2 story with bedrooms down and livingroom and balcony overlooking the water. One of the best things is that you can dock/moor a boat on property so you’re on the crystal clear water as soon as you want! Thanks for the feedvback, Larry – it’s very useful information! I’ve gotten a lot of responses on the Facebook page and all of them have reflected the same view you have. I’ve been trying to find a good place to visit in the Bahamas and it sounds like this spot might be it. Cheers!